If you have any other suggestions, please comment. Is 13 the unlucky version for EA Sports? Many Madden 2013 customers are hopping mad at the changes that EA Sports made to the newest version of Madden NFL 13. The complaints range from the change in career mode, franchise mode, no editing of rosters, no soundtrack, and no importing of draft classes. The game has a very loyal and devoted following. However, they are not too pleased with the changes. Please review your experience with Madden 13 below. Zeek Rewards has been the source of many complaints. The company was recently shut down by the government. The popular website http://www.zeekrewards.com/ has been accused of being a ponzi scheme. Has your experience with Zeek Rewards been good or bad? Please comment about your experience with Zeek Rewards Below. Carls Jr's Memphis Barbecue Burger Commercial, featuring two provocative women cooking, is upsetting some of their customers. Does this commercial make you want to lock your daughter in a closet or go buy a burger from Carl's JR? The Gap is a retail giant that includes Gap Stores, Gap Kids, Gap Body, Old Navy, Banana Republic, Piperlime and Athleta. The Gap offers clothing for women, men, children and babies. The contact phone numbers are listed for the various departments within The Gap Company. The Gap Inc. is located in San Francisco California. They have multiple business locations located throughout the world. Their most important mailing addresses are listed below. Gap's official shopping website is Gap.com and their corporate website is GapInc.com. The Gap does publish email addresses for various departments. The Gap is a very progressive company and they maintain several social media accounts. Gap updates these accounts very frequently. They use social media to , offer promotions, show commercials, offer contests to highlight their brand. Also, they will handle difficult customer service issues using social media. Links to The Gap's social media accounts are listed below. To reach a life person at Gap customer service, first say existing order. Then ignore the next prompts and say "speak to a representative help". Then you will be connected to a live customer service person. The Gap's customer service is some of the best that we have experienced. They offer customer service through a their stores, phone numbers, email and social media. They show all of their contact information on their website and they do not try to hide their phone numbers. However, they are not perfect and they do make mistakes. Please review and rate your customer service experience with The Gap below. Direct TV's bundled internet, tv and phone service has been the source of many complaints. The Complaints range from late installations, pictures freezing, slow internet connections, over billing, to impossible to reach customer service. Has Direct TV given you good or bad customer service? Please comment about your experience with Direct TV's service. Comcast's Xfinity internet, tv and phone service has been the source of many complaints. The Complaints range from late installations, pictures freezing, slow internet connections, over billing, to impossible to reach customer service. Has Xfinity given you good or bad customer service? Please comment about your experience with Comcast's Xfinity internet, and TV service below. The Bresnan email address to contact Bresnan Customer Service is ckoon@bresnan.com. Bresnan is an internet provider in the USA. Bresnan's contact information is listed below. Customer Service Numbers brings you the customer service phone number for Bresnan and the other leading internet providers. Monday through Friday, 8 a.m. - 5 p.m. ET. Before calling, have the model and serial numbers on hand. The U.S. Consumer Product Safety Commission and the General Electric Company (GE) have announced a voluntary recall of 1.3 million Hotpoint®, GE® and GE Profile™, GE Eterna™ and GE Adora™ plastic tub dishwashers, manufactured between March 2006 through July 2006, and November 2006 through April 2008. These dishwashers are plastic tub dishwashers with front controls. They were sold in black, white, bisque, stainless steel and CleanSteel™ exterior colors and finishes. You can submit your model and serial number below or call the GE Hotline to determine if your dishwasher is included in the recall. Additional Information GE has determined that an electrical failure in the dishwasher’s heating element can pose a fire hazard. GE will provide a free repair to all consumers with units affected by the recall. We ask that you not use your dishwasher until it is repaired and to disconnect the electric supply by shutting off the fuse or circuit breaker controlling it and inform all users of the dishwasher about the risk of fire. Consumers who instead wish to replace their dishwasher with a new model can use a GE rebate of $75 for the purchase of a new GE front-control plastic tub dishwasher or a GE rebate of $100 for the purchase of a new GE front-control stainless tub dishwasher or GE Profile top control dishwasher. GE is aware of 15 reports of dishwasher heating element failures, seven of which resulted in fire and smoke damage beyond the unit. No injuries have been reported. The model and serial numbers are important, as not all dishwashers are included in the recall. Look at the inside on the front left side of the dishwasher tub to find the model and serial number. This recall is being conducted in cooperation with the U.S. Consumer Product Safety Commission, which will also monitor the effectiveness of the recall program. 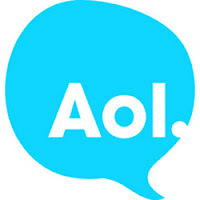 The number to call AOL Customer Service is 1-800-827-6364. AOL is one of the worlds first internet and email providers. Customer Service Numbers brings you the customer service phone number for AOL and the other leading internet companies. American Airline's service has been the source of many complaints. The Complaints range from charging for baggage, late flights, lost baggage, to impossible to reach customer service. Has American Airlines given you good or bad customer service? Please comment about your experience with American Airlines's customer service below.